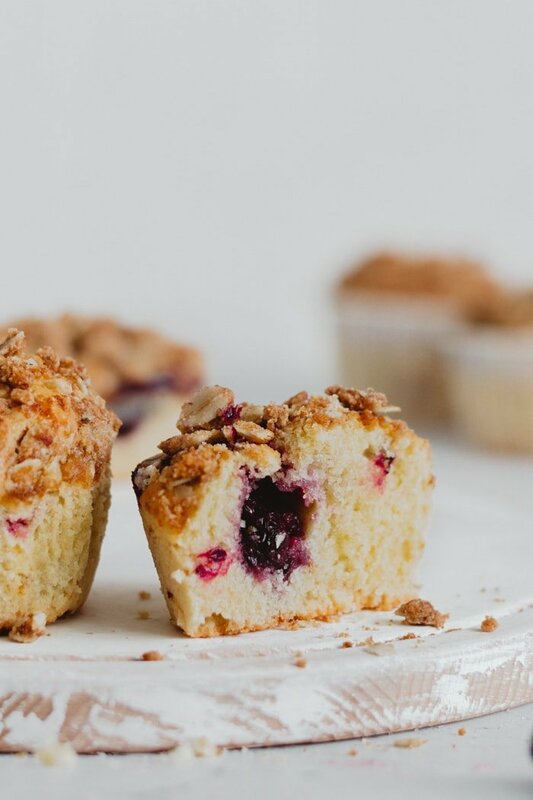 These Blackberry Pie Muffins are so soft and fluffy and they are perfect for mornings on the run. Nothing better than a delicious start to your morning. 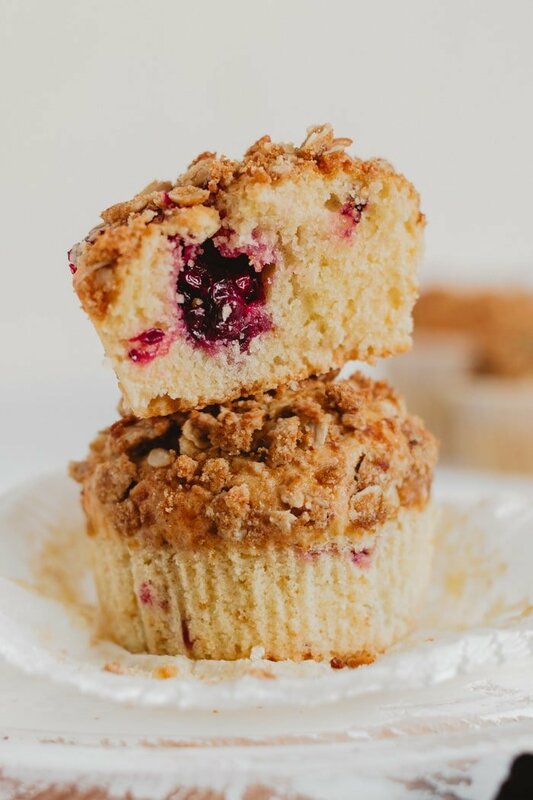 These Blackberry Pie Muffins were really tender and I loved that they weren’t over the top sweet. I hate too much sugar in the morning. It seriously makes me sick to my stomach. My husband, on the other hand can eat anything in the morning. If I make his favorite caramel brownies he will seriously have one the next morning. Can any of you eat like that? Anyway, these are not too sugary and I bet you could use different fruit if you aren’t a blackberry fan. Blueberries would be especially delicious with that crumb topping. Muffins are a really great example of how quick breads can be totally destroyed merely by over-mixing the batter. Cookies love to be beat as the butter and sugars actually change which makes for an extra fluffy cookie. 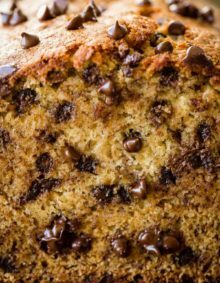 However, quick breads are incredibly delicate and don’t handle mixing very well. When you’re first starting to make homemade muffins it’s a really great idea to use a wooden spoon or rubber spatula when you’re folding the wet and dry ingredients together. 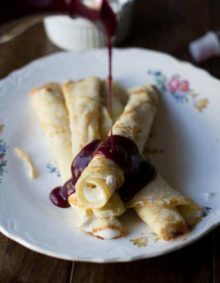 This will help you to gently combine the two ingredients without beating the life out of them. Can You Freeze Blackberry Muffins? Sometimes freezing muffins that have a fresh fruit in them can turn out poorly as the fruit has so much liquid it can crystalize in the freezer which makes for a soggy muffin as you’re reheating them. However, it’s totally doable if you follow a few simple guidelines. If using paper wrappers to bake the muffins in, leave the paper on the muffins to help protect the bread from freezer burn. Allow the muffins to cool completely before attempting to freeze them. Wrap the muffins with saran wrap before placing them into a gallon sized freezer bag, pressing out all of the air before sealing it. 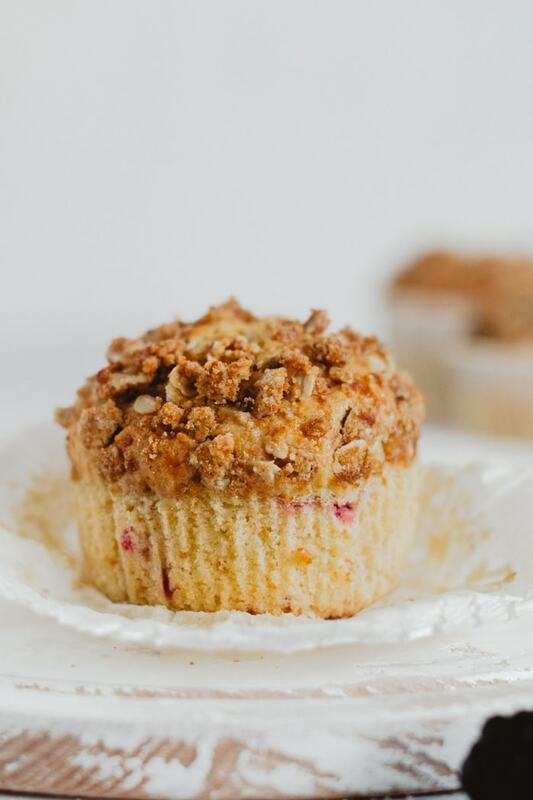 Streusel is a topping commonly found on muffins, quick breads and pies. A streusel is made up of fat, oats, flour and often cinnamon. I’m a HUGE fan of streusel. I love that crumby, brown sugar goodness piled on top of something already wonderful. It’s perfection. Can You Freeze Streusel Topping? Somehow I always make too much streusel topping and I hate to waste food, so I’ve started freezing it in little ziploc bags. It holds up really well and bonus points for less work the next time you make muffins! In a bowl, place uncooked old fashioned oats, cinnamon, a pinch of salt to balance the flavor, and brown sugar for sweetness. Mix all of that together until well combined. Now this is the most important part, the butter must be cold in order to produce a perfect streusel. Cut the butter into pieces and add it to the bowl. Using a pastry cutter or a fork, mix the streusel until it begins to bind together. To be sure that everything is perfect, grab the mixture in your hand and give it a squeeze, the mixture should bind together. Looking for something else sweet for breakfast? Try this french toast casserole! Heat your oven to 350 degrees, and line 12 muffin cups with liners (or grease the cups). 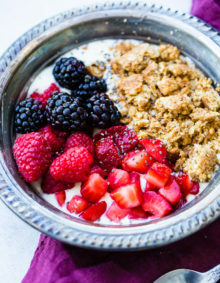 In a small bowl, mix together the topping ingredients until crumbly. In a large mixing bowl, sift together the flour, baking soda, and salt. In a medium mixing bowl, beat the egg and then stir in the sugar, vegetable oil, vanilla, and lemon zest. Add the wet ingredients to the dry ingredients, along with the buttermilk, and stir just until moistened. Add the blackberries and stir until well incorporated. Fill your muffin cups almost to the top with the batter. Sprinkle the topping evenly over each cupcake. Bake for 25 - 35 minutes, until they're golden brown and the tops spring back when you poke at them. These muffins look so good! I love blackberries, my favorite! I love muffins! I like the topping on this muffin. It jazzes it up.